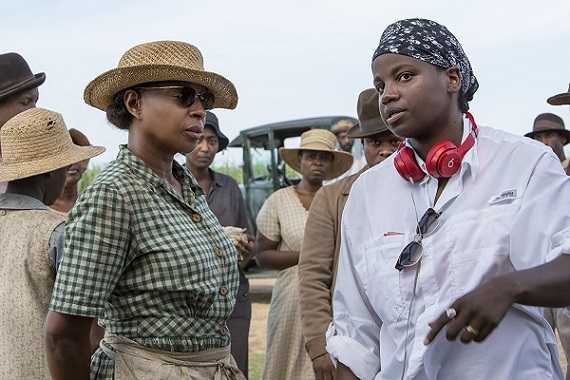 With Patty Jenkins’ “Wonder Woman,” Greta Gerwig’s “Lady Bird” and Dee Rees’ “Mudbound,” women helmed some of the most critically acclaimed movies of 2017 – and in the case of “Wonder Woman,” one of the most commercially successful. But female directors are still woefully underrepresented, with women directing just 4.3 percent of top movies over the last 11 years, reports the Chicago Tribune, citing figures from last week’s study by the University of Southern California’s Annenberg Inclusion Initiative. The study looked at the gender, race and age of the 665 individual directors who worked on the 100 top-grossing movies in each year – 1,100 total. Last year, out of the 109 people who directed the top 100 movies, just eight were women. Along with the aforementioned trio, the other woman helmers included Trish Sie (“Pitch Perfect 3″), Stella Meghie (“Everything, Everything”), Anna Foerster (“Underworld: Blood Wars”), Hallie Meyers-Shyer (“Home Again”), Stacy Title (“The Bye Bye Man”) and Lucia Aniello (“Rough Night”). Another recent study, this one by San Diego State University’s Center for the Study of Women in Television and Film, found that in 2017’s top 250 films, women comprised 11 percent of the directors, which is up 4 percentage points from the previous year but equivalent to the number recorded in 2000 – meaning not much progress has been made since. In the USC study, the year with the highest percentage was 2008, with nine women, or 8 percent. Phyllida Lloyd ranked high on the list that year with smash movie musical “Mamma Mia!,” which became the highest-grossing film to ever be released in the United Kingdom. Last summer, Jenkins’ “Wonder Woman” surpassed “Mamma Mia!” as the highest-grossing film worldwide directed by a woman. That study also found that women made up 18 percent of all the directors, writers, producers, executive producers, editors and cinematographers who worked on the 250 films. “This represents an increase of 1 percentage point from 17 percent in 2016 and is virtually unchanged from the percentage achieved in 1998,” the study states. Four black women, two Asian women and one Latina were on the list. The other 36 female directors were white, according to the Chicago Tribune. The list includes Ava DuVernay (“Selma”), Gina Prince-Bythewood (“The Secret Life of Bees”), Sanaa Hamri (“The Sisterhood of the Traveling Pants 2″), Meghie (“Everything, Everything”), and Loveleen Tandan (“Slumdog Millionaire” co-director). Jennifer Yuh Nelson directed multiple installments in the “Kung Fu Panda” animated franchise and therefore appeared twice. Patricia Riggen (“Miracles from Heaven”) was the only Latina hired to direct any of the 1,100 films. In addition, women directors were more likely to be “one and done” than their male counterparts, according to the Chicago Tribune. Fifty-five percent of the male directors helmed just one film, compared with 84 percent of the women. Over the 11-year period, men directed between one and 15 movies, whereas women directed between one and four. The new numbers are released as renewed controversy has emerged over the dearth of female best director nominees on some of the major awards shows. As previously reported, the Golden Globe best director nods all went to men: Martin McDonagh for “Three Billboards Outside Ebbing, Missouri,” Christopher Nolan for “Dunkirk,” Ridley Scott for “All the Money in the World,” Steven Spielberg for “The Post” and Guillermo del Toro “The Shape of Water,” with del Toro earning the prize at the Jan. 7 ceremony. The only female director to have won a Golden Globe is Barbra Streisand, for “Yentl” in 1984. The BAFTA best director nominations, announced Jan. 9, also are an all-male affair, as Denis Villeneuve (“Blade Runner 2049”) and Luca Guadagnino (“Call Me by Your Name”) made the list alongside del Toro, McDonagh and Nolan. Not only do women have a harder time getting recognition for their work as directors, the new figures confirm that they have a harder time getting to do the work in the first place. 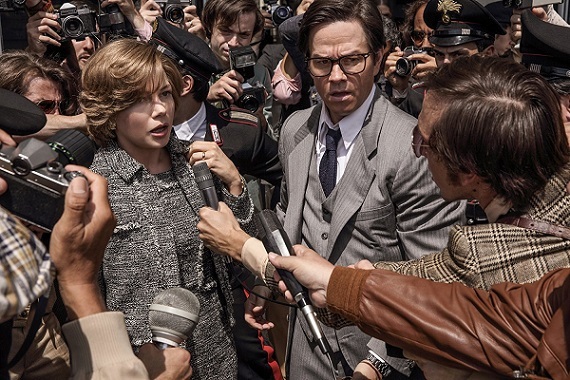 The controversy over the pay discrepancy between Mark Wahlberg and Michelle Williams for Thanksgiving reshoots for “All the Money in the World” is culminating in Wahlberg making a large donation to the Time’s Up, the new initiative to fight sexual harassment. According to CNN, Wahlberg is donating $1.5 million to the Time’s Up Legal Defense Fund in Williams’ name. Both actors agreed to return to the set of Ridley Scott’s fact-based kidnapping drama after Kevin Spacey was fired from the movie and replaced by Christopher Plummer Spacey was accused of sexual misconduct by actor Anthony Rapp and others, according to ELLE.com. But Williams was reportedly paid an $80 per diem totaling less than $1,000, while Wahlberg was paid $1.5 million. Williams never publicly confirmed her fee, but did speak up after Wahlberg’s pledge. William Morris Endeavor Entertainment, the talent agency that represents both Wahlberg and Williams, also announced it would be making a $500,000 donation to the fund, again in Williams’ name. The organization had already donated $1 million to the fund earlier this month, according to CNN. The Time’s Up fund was established to subsidize legal support to people who have dealt with sexual harassment in the workplace. It is administered by the National Women’s Law Center. As previously reported, 300 prominent female actors, agents, writers, directors, producers and entertainment executives formed the vast and ambitious initiative to fight systemic sexual harassment not only in Hollywood a but also in blue-collar workplaces nationwide. Cate Blanchett has been named president of the Cannes Film Festival jury, according to Variety. The two-time Oscar winner will be the 12th woman to lead the jury of the prestigious French festival. The Australian performer will preside over the competition for the 71st festival, which is scheduled for May 8-19. Blanchett was among the women who recently launched the Time’s Up initiative against sexual harassment. She was one of the first women to speak out against Harvey Weinstein after he was accused of sexual assault by numerous women, Variety notes.